The Amazer series tyre 4G Life receives long tyre life of 1 Lakh kilometre, which results in very low cost per km ride. The high on life tyre is developed in collaboration with Apollo Global R & D Centres in Chennai, India and Enschede, Netherlands. The tyre has been tested extensively for its durability in real world road driving conditions by Apollo Tyres. The use of innovative 'turtle' rubber compound leads to extra long life of the tyre. The wide range of rim sizes presented in the tyre model can be fitted in hatchbacks like Maruti Suzuki Swift, sedans such as Honda City and MPVs like Toyota Innova etc. The 4G Life is offered in the assorted rim sizes and variations. The Apollo Amazer 4G Life tyre gets 2 year unconditional warranty and 5 year manufacturer standard warranty. The Amazer 4G Life acquires extra long durability with up to 100,000 kilometres. It is an ideal tyre for city drives and highway use. Its ultra high wear resistant tread compound ensures less road noise and improved traction. With micro puncture technology in place it has better resistance to sharp object / nail piercing. The 4G Life features impact resistance and structural durability on rough and potholed city roads. It ensures superior safety with improved braking and better grip on the road surface. 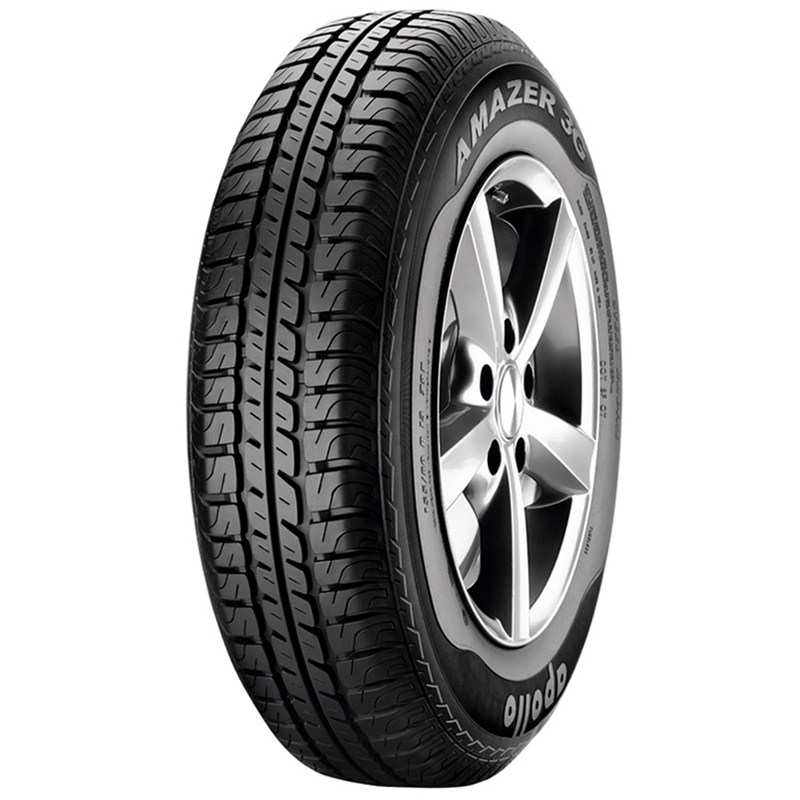 Robust cavity design of Amazer 4G Life tyre ensures uniform wear resulting in longevity. Besides durability its innovative groove design provides better water dispersal under wet conditions. Apollo Amazer 4G Life tyre is enclosed with industry best manufacturer warranty from Apollo Tyres.